Parts of Colorado and other Western states have been grappling with severe drought that’s made wildfires explosive so far this season. It wasn’t clear how many more people were told to flee, but several hundred homes and cabins have been evacuated and the orders were extended to a 20-mile (32-kilometer) area dotted with trees and cabins. 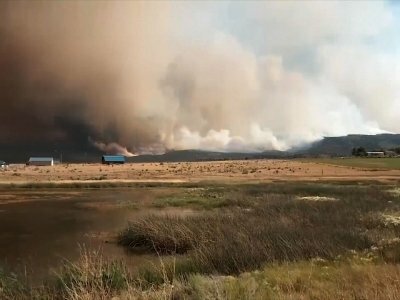 Officials said the fire that’s scorched 129 square miles (334 square kilometers) in a rural area northwest of Sacramento was slightly more contained than the previous day. Roughly 2,500 people had been forced from their homes. Pinzon said officials lifted some mandatory evacuations Tuesday night, though he didn’t know how many people were allowed to return home.